The largest company in the world by market capital valuation is now ExxonMobil, a gas and oil multi-national conglomerate formed in 1999, with headquarters in Irving, Texas USA, which was actually the brainchild of founder – and a very familiar person in the ranks big business and ‘the richest’ – John D. Rockefeller back in the late 1800s, himself being one of the richest people to ever live. 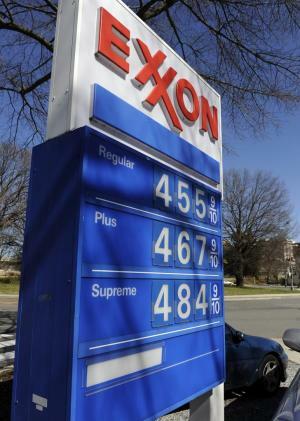 So just what is the net worth of ExxonMobil? Of course the net valuation of the company varies almost daily, according to the stock market prices of gas and oil in particular, but as of early 2017 it stands at $365 billion, although it has been as high as $450 billion, now constantly vying with Apple and more recently Alphabet (Google) as the highest valued company in the world. Most importantly, ExxonMobil is ranked by Fortune 500 as the second most profitable world company, regardless of recent volatility in oil prices; its revenue has apparently diminished little, still estimated to be the world’s 8th largest. Probably as equally important, the company’s shares remain sort-after by investors – as a publicly traded company it’s the fifth largest by market capitalization. How did ExxonMobil grow into such a highly-valued company? The answer lies initially in the discovery, expansion of production, refinement, control of distribution, and sales of oil and its derivatives, beginning in 1870, promoted most energetically by John D. Rockefeller. Originally the company was called the Standard Oil Company of Ohio, soon amalgamating with the New York and New Jersey arms of Standard Oil in 1882 to form Standard Oil Trust. However, the Sherman Anti-Trust Law of 1892 decreed that the company had to be broken-up – it was too successful, too powerful in the oil industry, which presumably meant little competition at the points of sale. However, even then, not to be ‘outlawed’ or sidelined, several of the companies went about expanding by acquiring assets internationally, thus extending their overall influence on the market – the US legal authorities had little influence over companies domiciled outside their jurisdiction, even though controlled from within the US. Asia, including China, was incorporated into the New York company, and Canada into New Jersey; other companies established in the UK, Germany, The Netherlands, Italy and Belgium were also under the auspices of ‘Standard Oil’, so that by the early 1900s, Standard Oil was collectively stronger than ever. Jersey Standard moved into South America, in Colombia in the form of Tropical Oil Company in 1920, and in Venezuela of Standard Oil Company (1921), and Creole Petroleum Company (1928). Oil was also found, and subsequently exploited and refined, in Indonesia, and in conjunction with Vacuum Oil Company – an early industry leader – effectively controlled the oil industry from East Africa to the south Pacific area. Socony concentrated more on domestic production, including transportation by pipeline through the acquisition of Magnolia, very significant given the rising importance of the vehicle industry, but also ventured into Iraq through an association with the Turkish Petroleum Company in the late 1920s. By the late ‘40s, an interest had been acquired in Saudi Arabia – an area with the world’s largest known oil reserves – through Aramco (Arab-American Oil Company). As can easily be seen, the various elements of what became ExxonMobil were way ahead of the field in the oil industry, especially at a time when usages of oil and refined products were approaching a peak. Several name changes and amalgamations occurred during the ‘50s and ‘60s, and acquisitions continued into further primary sources, including of coal and the refining of this mineral into various products. Libya became another important oil source, but concurrently Socony and Jersey both branched out into solar and nuclear power, the former briefly as its usefulness was seen as too long-term to be profitable, and mining and processing of uranium ore began in the early ‘70s. ALSO In the early ‘70s, oil shale deposits were also acquired and developed, including in Australia, obviously with an eye to the long-term future. This was also the time when Exxon was adopted as the company’s over-riding name, and became very visible at points of sale. Consolidation was the order of the day, but Mobil European Gas was established too, followed by amalgamation with British Petroleum (BP), so becoming one of the big players in Europe for oil and natural gas. Finally, in 1999 both the European Commission and US Federal Trade Commission approved the merger of Exxon – at that time the largest energy company in the world – and Mobil, the second biggest gas and oil company in the US. One may well wonder what happened to the anti-trust laws implemented a century earlier? Well, Mobil had to divest itself of BP, its share of the German Aral company, and MEGAS. In the US, almost 2500 gas stations had to be sold, as well as refineries in California, New England and Washington D.C., plus Mobil’s interest in the Trans-Alaska Pipeline among other lesser assets. However, ExxonMobil certainly did not stagnate, and more recent operations have seen sales to franchisees of gas stations in the US, cessation of coal-mining, but still further oil exploration in Central Asia – apparently linked with the interest of CEO Rex Tillerson, now nominated as US Secretary of State – plus an arrangement he allegedly concluded with the Russian company Rosneft, but stymied somewhat by sanctions imposed on Russia following its invasion of Ukraine. Interests in the Middle East (Sudan, Syria, Iran) have also continued to develop – not, supposedly, in contravention of various sanctions imposed. Clearly there is power in strength, both commercially and politically, and ExxonMobil is one of the prime examples – to coin a phrase, the company is ‘too big to fall/fail’; that has been quoted before, but not always accurately. Significantly, there have been many accidents particularly involving oil spillage, eg the oil tanker Exxon Valdez running aground in Alaska in 1989, which eventually cost the company $500 million in damages, apart from the cost of the clean-up; but the penalties of such incidents the company is easily financial enough to withstand. Most such cases have occurred within the USA. Regardless, ExxonMobil remains a giant in the power production industry, if perhaps waning a little as reliance on oil and its derivatives diminishes somewhat around the developed world at least. However, given the company’s wider interests aside from oil, there is every possibility that its financial strength may well see it being a significant player in various other sources of power in the near future.